C language has lots of advantages. In this tutorial we are going to see Stringizing and Token Pasting Operators in C programming. Most of them don’t aware of this topic. Let’s start. Before that we should know what is token in C Programming. 4 Why We need this Token Pasting Operator? 6 Can we use both Stringize and the token-pasting operators in single MACRO? Every C program is a collection of instructions and every instruction is a collection of some individual units. Every smallest individual unit of a c program is called token. Every instruction in a c program is a collection of tokens. 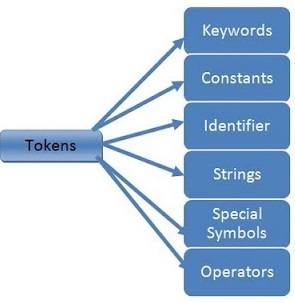 Tokens are used to construct c programs and they are said to the basic building blocks of a c program. So Now we have a idea of Tokens. Let’s continue our topic. The token pasting operator ## defined by ANSI enables us to combine two tokens within a macro definition to form a single token. In another words, The token pasting (##) operator simply eliminates any white space around it and concatenates (joins together) the non-whitespace characters together. It is used to create new tokens. It can only be used in a macro definition. It may not be the first or last characters in the replacement text. We can only use this method for valid tokens only. See the below example program, then you will get clear picture. These will done at Preprocessing time. Why We need this Token Pasting Operator? It is used to reduce repetitive typing. This can be taken further and be applied to even an abstract data type, such as a linked list. I’ve constructed myself a generic linked list. Sometimes you may need to convert a macro’s argument to a string. Parameters are not replaced inside string constants, but you can use the ‘#’ preprocessing operator instead. When a macro parameter is used with a leading ‘#’, the preprocessor replaces it with the literal text of the actual argument, converted to a string constant. Unlike normal parameter replacement, the argument is not macro-expanded first. This is called stringizing. This will convert whatever is passed as parameter y into a string. This will delete Leading and trailing white space. If we pass the macro, it wont expand. It will print the string. \ will convert into \\ and " is convert into \"
Some characters cannot be stringized – notably, the comma , because it is used to delimit parameters and the right parenthesis ) because it marks the end of the parameter list. I’m using the print_string macro like below. These macro will expand like below. Can we use both Stringize and the token-pasting operators in single MACRO? Yup, We can. In below example we are going to use both operators in single MACRO. Both the stringize and the token-pasting operators are used in this example.